He said the first deal was with Netflix, with which Paramount already has a relationship with Netflix to license content to the streaming giant. However the new agreement “represents an incremental revenue stream that we’re really excited about”, he said. Gianopoulis said that Paramount had “more capacity for great production than the theatrical system can accommodate” and Viacom was happy to “work with the likes of Netflix, Amazon and others” to develop new business. He qualified the deal’s importance by saying that it was “incremental” and involved “a small number of titles”. However, he added, the agreement would involve high-quality movies and “plays to the strengths of a large well-established studio like Paramount”. Viacom also last week struck a deal with Amazon Prime Video to provide exclusive streaming rights to content in Latin America, one of a series of moves that indicates Viacom’s own OTT TV ambitions will be limited to more targeted services and library content. Viacom International Studios closed a content deal for Latin America that will bring two new productions to Prime Video, Homens? and Dani Who?, which will only be available to stream exclusively on Prime Video. Speaking on the earnings call, Viacom CEO Bob Bakish said that Viacom’s strategy was to “expand the presence of the flagship brand to third-party platforms”. He said that Viacom had “a real opportunity” to extend the presence of its flagship brand by providing original content to third-party SVOD distributors. Bakish said that Viacom’s channels would also be part of ‘skinny bundle’ OTT services as these emerged. 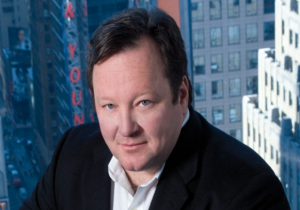 Regarding Viacom’s own direct-to-consumer strategy, he said that the company felt “positive about where we are” with SVOD offerings for specific audiences such as Noggin and Comedy Central Now, with further products in the pipeline to serve the African American and reality-focused audience segments. Viacom posted full-year revenues of US$13.3 billion, down 2%, and operating income of US$2.6 billion, up 3%. The filmed entertainment division turned in a strong Q4 thanks in part to the success of Mission: Impossible – Fallout while media networks revenue was down, with affiliate growth being offset by softening global ad revenues.